Camilla printed coverup dress with beaded embellishments. For in-store inquiries, use sku #2371941. F.R.S For Restless Sleepers cocktail dress in animal carpet print jacquard. 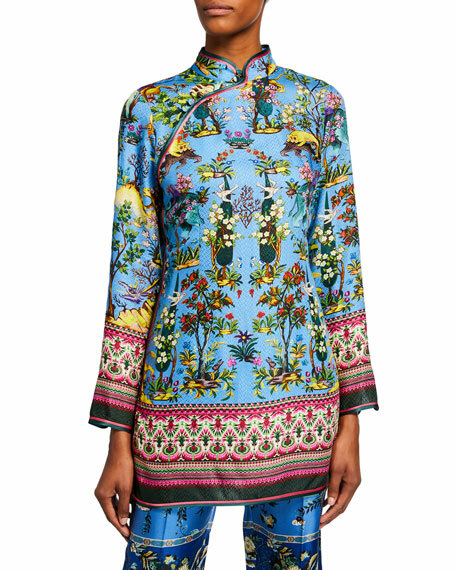 Mandarin collar; wrapped front. Bracelet sleeves; slit cuffs.. Shift silhouette. Mini length. Viscose/silk. Made in Italy. 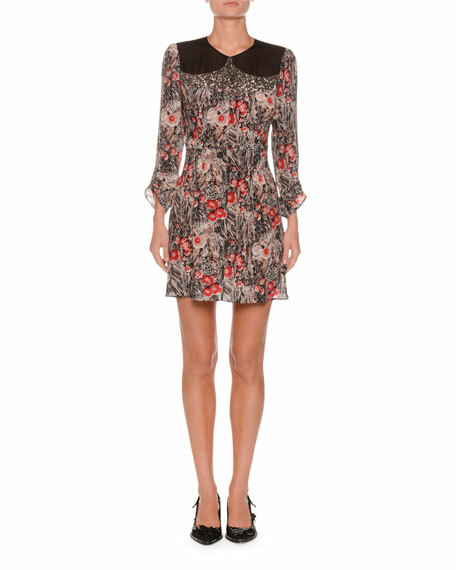 Ramy Brook "Vina" printed dress in silk-blend. V neckline. Long sleeves. Blouson bodice. Ruched detail at skirt. Mini length. Slipover style. Silk/Lurex metallic fiber. Polyester lining. Imported.